"Mark and his team made the entire mortgage process as easy as possible. Always available late nights / weekends for my questions and to assist. Very knowledgeable in the space and able to get a very competitive deal"
"We recommend Mark for any mortgage lending needs! 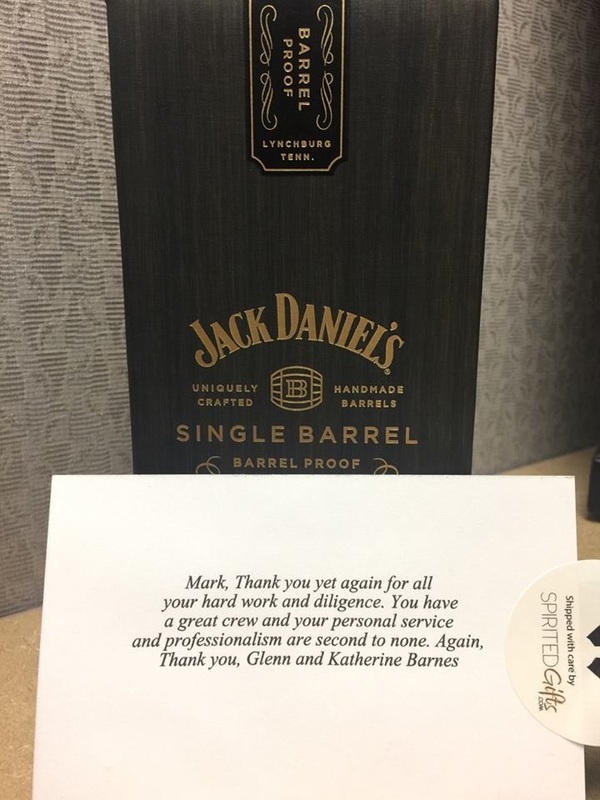 Mark and his team made our home buying experience an awesome one! Mark is very knowledgeable and he and his team consistently gave prompt feedback every step of the way! They provided excellent customer service! Thank you Mark and Mariah!" "Mark and Mariah were absolutely amazing to work with! Never once during my home buying process did I feel I was in limbo waiting for a response or did I have to contact them more than once to get my answer. They were available for me all the way up to the last second of purchasing my home. I will definitely recommend them to any of my fellow Veterans/Family/Friends!!!! Thank y'all so much for a phenomenal experience!!" "Thank you so much for all your help and patience with us. We are grateful for a great team for helping us get into our first home! We appreciate you all!" "Mark and his team were very fast and kind. My realtor was very nervous about me using a mortgage company that was out of town but I did anyway. My realtor and the title company were very impressed with how fast and effective Mark and Janelle were. There is no doubt in my mind I will use them again for my next loan. There were no delays in my loan due to their part." "Exceptional Service from Mark Hammond Mark seamlessly walked me through the lending process and made buying a new home stress free. That allowed me to concentrate on the excitement of getting my wife and I our dream home. He and his team were thorough and gave me piece of mind by answering every question and anticipating my needs. I would definitely use Mark and his team for every home purchase in the future." Thanks for being so patient and responsive when working with me and my partner on financing our very first home. I'm so glad I reached out to you and was able to asked for what I was looking for. Everything was new to me but I could trust you and your team. You were able to deliver all that you said you would. I'll definitely tell my friends! Truly the easiest process and greatest people! I was deployed throughout the whole closing process and Janelle and mark made everything so easy and stress free. I wish the whole world knew about this company. Mark, Thank you yet again for all your hard work and diligence. You have a great crew and your personal service and professionalism are second to none. Again, thank you. Exceptional Service! I just bought my first home and could not have asked for better service. Mark and Mariah were amazing and helped walk me through this new experience, keeping me informed and answering any questions I had along the way. Highly recommended! I appreciate the time and effort they put into my home buying experience! Absolute flawless experience! Mark and his team were amazing to work with and kept in great communication. I couldn't have asked for a better team on my side in buying my first home! Definitely exceptional! Mark and his professional team made the process of securing a loan for our new home easy and painless. This was my third loan with C&T. That's how much I trust them. Mark and Mariah know their business well. They were kind and thoughtful, reminding us along the way of what they needed from us and what to expect. Available at practically anytime, I would definitely recommend Mark for your home loan needs! Looking for THE RIGHT lending team? LOOK NO FURTHER than Mark Hammond and his assistant, Janelle Moore. With their guidance, and friendly personalization (second to none), we seamlessly completed our loan process and successfully closed on our home with outstanding timing. Simply put, these are just good, first-rate folks who are absolutely professional and well-experienced in guiding families and individuals through the entire lending process, and yet their interaction is so personal (non-corporate). They understand the culture of buying a home, and you'll be glad you let them guide you through your purchasing journey! Pick up the phone, and call them today! My Wife and I just closed on a home 18 July 2016. Mark and Mariah were extremely helpful given that I some credit issues. I work in Afghanistan and all correspondence was done over the phone and email. They made sure I had everything I needed in order for my wife to close on the house without me being there. I know they had other clients, but I felt like I was their only client at the time. I had no apprehensions whatsoever and felt very comfortable with the whole process. I am definitely working with Mark and Mariah again when I refinance or buy a second home. I will be recommending this team to all my friends and anyone who will listen. This team was a God send for sure. Thank you Mark and Mariah for your awesome work. My husband and I just finished working with Mark and his team, to purchase our first home in Texas. The whole experience has been fantastic, and we are so pleased with the level of service that we've received! We did our entire transaction via email and phone, and Mark and his team were always VERY quick to respond to us, no matter how many time we contacted them. They are incredibly well organized and efficient, and it's evident that they truly value their clients We would work with Mark and his team again in a heartbeat, and we will definitely recommend their services to family and friends. Thanks Mark and team! Exceptional service! C&T Mortgage provided exceptional service while handling what should have been a routine closing which slowly turned into a nightmare. Mark and his staff worked tirelessly fighting with the builders so that my family and I could close on our new home. They expressed empathy and consideration with our situation because we were in a new state with no support system and no where to live after we broke our lease with apartment under advise from builder that our home would be ready. 3/18/16 - Both Mark and Mariah spent countless hours to helping me broker 2 different home loans in the past year! Perfect Team Could not have been better. The team kept me informed and responded without delay when I had questions about the process. Very professional and very charming at the same time. 9/28/15 - Great experience, very accurate information, time to respond, highly recommended. 9/10/15 - Efficient, friendly, quality service! I couldn't recommend more highly the people I worked with at C & T Mortgage Company. Mark Hammond and his assistant Janelle made what could have been a cumbersome experience totally streamlined for me. We were buying a home in Texas and living in another state. This could have been complicated but they handled the whole process with total professionalism, excellent communication, and efficiency. We were ready to close in 3 weeks. If you need mortgage people....these are your guys! 8/7/15 - We actually switched two weeks out from out close date to Mark and wish we had found him sooner! Our previous lender was a huge disappointment but Mark made the entire process easy, saved us money, got us a good interest rate, answered every question in a way that we could understand with so much patience. And we still closed on time no problems! His entire team is there whenever you need them and keeps you informed every step of the way. They even go above and beyond with finding you home insurance savings! I would recommend everyone use Mark Hammond! 7/10/15 - What great service! Mark and Janelle were a perfect team! They were available any time I had a question. They made an extreme effort to answer my questions; no matter how small they seemed, in a professional and timely manner. They also made me feel very comfortable throughout our whole process. I would definitely recommend them to anyone ready to buy a home or refinancing. 6/23/15 - Mark helped make the process of buying a home less stressful for me as a first time home buyer. He was very thorough and patient with me and answered all of my questions. He rocks! I would highly recommend him. 6/22/15 - Mark and Janelle were very helpful and informative throughout the process and frequently answered questions very quickly. They were easy to reach by phone and email. This was my first home purchase and they kept me up to date with what I needed to get done and when for my approval. 5/1/15 - The best experience ever! As my review title would indicate, your company took the stress out of buying a home, which in most instances it could be very difficult stressful and trying time. I must say, everyone involved in the process were so very helpful, willing and professional people, that I'm awfully proud to call friends, not just associates. Everything happened swiftly, without a catch. Everything they needed was clearly stated. Turn around for closing was great and a highly pleasant experience. I would recommend this company in a heartbeat! 3/31/15 - I've happily used C&T Mortgage Twice! Mr. Mark Hammond is a man of integrity, and I highly recommend him and C&T Mortgage for your real estate financing needs! Mark's good faith estimate that you receive during your initial contact is exactly what you can expect at the closing table weeks later! There is no such thing as a bait-and-switch when it comes to C&T Mortgage. I've served the USAF for 23 years and integrity is a core value that I live by and expect from others, and C&T Mortgage is a 5 Star Company you can trust! Do yourself a favor and finance or refinance with C&T Mortgage! 3/20/15 – Mark and his team are extremely professional. Every phone call, email and question was answered quickly. I was a first time home buyer and nervous. Mark and Janelle made me feel like family and took care of me the whole way. I have nothing but praise the these guys! Thank you for all your help! You have a very happy customer! 2/17/15 - Mark and his team were incredibly helpful. They made the whole process seem easy and painless. Mark's advice was in-depth and responsible, and made us feel comfortable and sure about how everything was going to work. Thanks for all your help, looking forward to the next time we can work together! 1/29/15 - Hey Janelle, in behalf of my family and me, I'd like to thank you and Mark for all the help in making this experience very easy and enjoyable. We are completely satisfied with the deal Mark was able to get us, and the help you provided us. We will definitely refer you guys to any friends and family and come back to all for our financing needs. Again thanks a lot! 1/5/15 - Unbelievable Service! I was in need of a house in 30 days! I came to C&T Mortgage on November 24th and closed December 24th! Janelle was awesome! She was on top of everything needed and made the process smooth and easy! Mark was there pushing the bank and even helped us with an extra credit to make the deal happen! This was the best experience anyone could ask for! I highly recommend this company to anyone looking! 1/4/15 - Couldn't have worked with a better company! Unfortunately my situation was not the easiest to deal with. When I was at a point to where I didn't believe I was able to get a house Mark and his staff were able to work with me. I was so pleased to have them work on my case and now I'm here at my new house loving every minute of it!!! I would like to thank Mark and his staff for everything they worked and for keeping their faith in my case. I would highly recommend anyone using C&T Mortgage!!! 9/3/14 - I just wanted to say thanks to everyone, especially Donna and Mark, for all of the hard work and effort you did to help me and my daughter get into our new home this past weekend. Things are still in boxes and there is still a lot of work to do but we are in and very happy to live in such a wonderful home so close to her new school. I know it wasn’t easy and you guys went above and beyond to help pull it all together and I am truly grateful. Let me know if you ever need civil engineering services!! Have a great week!! 6/16/2014 - We used Mark for a loan on our new house. He was quick with all responses and answered all questions we had in a timely manner. We were able to close within 2 weeks of starting the process. I would recommend Mark to anyone that wants to have a smooth easy experience with their home loan. 04/01/2014 - Mark Hammond was referred to us because we thought we were losing bids on houses as a result of using a VA loan. Mark guided us, educated us, and enlightened our realtor, who has years of experience and is very successful at what she does. Mark turned a frustrating situation into a pleasant experience. Regardless how excited I may have gotten, Mark was always calm, cool, and collective. I have referred everyone I know who is buying a house to Mark and will conduct business with him in the future! 3/25/2014 - Mark was on the spot with his response and knowledge throughout my refinance. I am not someone who knew much about it, but Mark was helpful and did not make me feel naive and helped me understand the whole process. Mark still stays in contact and keeps me abreast of any opportunities that may arise for refinancing. 03/25/2014 - I would highly recommend Mark Hammond as a loan officer. He is knowledgeable in his field, helpful and responds immediately to questions or concerns. He made the purchase of our home a pleasant, rather than stressful, experience. 03/21/2014 - We have used Mark for 3 mortgages and 2 refinances over the last 11 years. He always gets us the best deal possible and has always walked us through each step from beginning to end. Explains our options where it’s easy to understand. I have recommended to multiple friends, and they have all been impressed. I will use Mark for any future needs as well. 7/15/2013 - Now that the dust has settled and we have finally unpacked what we think are the last boxes, Brian and I wanted to take this opportunity to thank you both for all of your hard work and patience. You helped make our dreams come true and we appreciate you both! We still have some work to do but we can truly say that we anticipate going home every day and look forward to making many memories! Thanks again! 4/27/2013 - I want to say thank you to Vince for his patience and insight from start to finish. He gave every home the look over from a buyer’s perspective and always made sure we were informed. His experience is obviously a learned skill but we believe he went over and beyond. Which leads me to C & T Mortgage: Mark and Janelle through Vince's recommendations were always there and I sincerely appreciate all your hard work. Mark will have our referral business whenever possible. I actually spoke to a friend today who is building new and I mentioned your professions throughout. Couldn't have also executed without Janelle's calming demeanor who really was there at any time and put us all at ease even in the most stressful of times! It's a team effort and I know many more people made this work and we just truly want everyone to know how great full we are. They care! You never really think about a mortgage lender and the word caring in the same sentence. I was very surprised and impressed with Mark and his team. They gave personal attention and truly worked hard to get the best rate for me and my family. I would recommend them without hesitation.